Written and drawn by Reinhard Kleist. This book is part graphic biography and part lyrical interpretation. There were two major pieces of media that I enjoyed that had a strong impact on how I experienced this book. One was the 2006 film Walk The Line. The other was The Man In Black: His Own Story In His Own Words, his autobiography published in 1983. Cash would later revisit the autobiography, but Man In Black ends with the acceptance of sobriety, quitting smoking and returning to his Christian background with renewed faith. I See A Darkness overlaps material from those two pieces. It deals mainly with the early years of Cash’s career, climaxing with his performance at Folsom Prison. There is some material set after the death of June, his wife, in the last year of his life while he is recording an album produced by Rick Rubin. 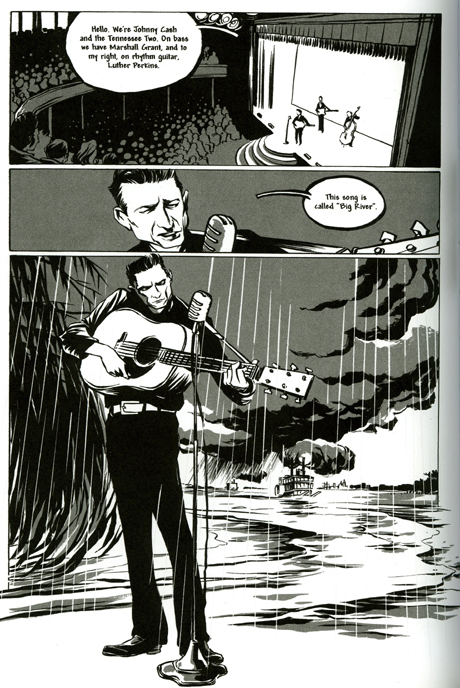 What this book offers is some interesting visual interpretations of Cash’s songs. Of particular note is Cocaine Blues from the Folsom Prison performance. The story of the song is played out over several pages, the lyrics recounted as text that weaves through the panels. The song A Boy Named Sue is also developed with this method, and to great effect. In a way it was able to do things which a song could not by providing images to accompany the text of the lyrics. In a way it reminds me of a book I read several years ago, Grateful Dead Comix, which featured interpretations of several Grateful Dead songs by a variety of artists. What separates that book from I See A Darkness, though, is the running narrative both in the book and the way that Cash’s lyrics are much more narrative in their construction. Cash often had stories in his songs, and that lends quite well to visual interpretation while maintaining a grounded structure. Cash songs would be great in the hands of an artist like Moebius, but I think that Cash had a genius that wasn’t visionary as much as it was couched in realism. Kleist has a bold black and white style that utilizes, appropriately, thick black spaces. The effect is a strong and blocky two-dimensional space, similar in many senses to Frank Miller’s noir draftsmanship on Sin City except with a sharp angularity. 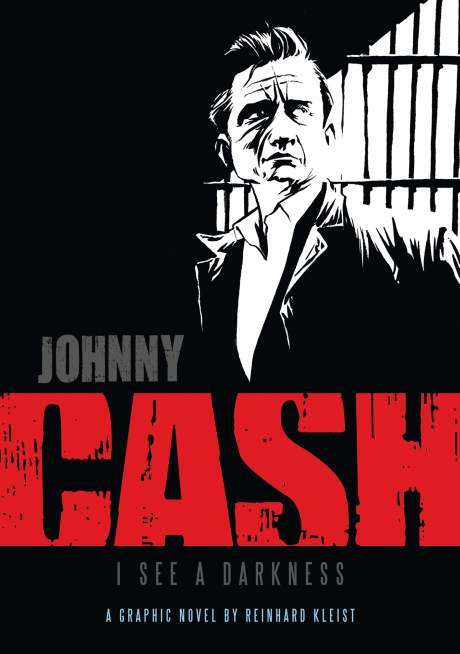 This marker-on-paper style fits quite well with the subject matter, a fitting way to represent the darkness that sits in the story of Johnny Cash and the light that is at play against it. That is what makes the Cash story so attractive, that dark world of drugs and alcohol set against against the real heart that Cash demonstrated through acts like his concerts at Folsom prison. 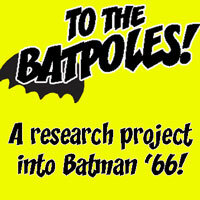 Deconstructing Comics reviewed this book in podcast #221. No user commented in " REVIEW: Johnny Cash – I See A Darkness "